1- Oil & gas industries are envisaged to remain leading end-users of flame resistant and retardant fabric, in term of value. Relatively high demand in oil & gas industries can be primarily attributed to gradual rise in investments in offshore oil & gas exploration activities worldwide. 2- Based on thickness, 0.080-0.102 inches thick flame resistant and retardant fabric will remain sought-after among end-use industries in the market. 3- 12 to 17 oz. per sq. 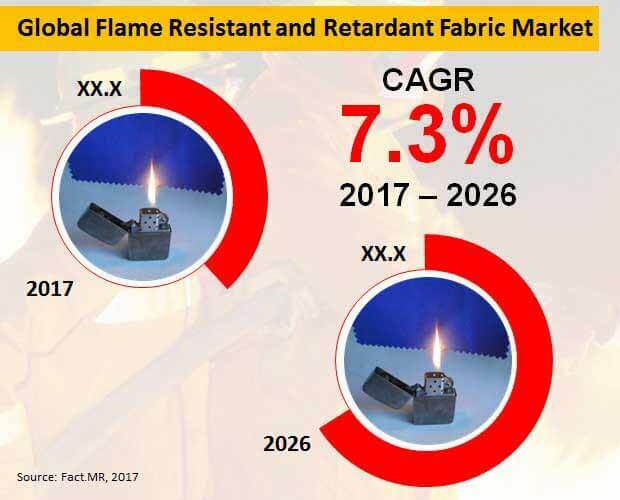 yard flame resistant and retardant fabric will account for the bulk revenue share of the market during 2017 to 2026.